All hail the Great Machine. The Great Machine provides. The Great Machines makes room for our labors in its perfection. New horror from Aphotic Realm! Click the image above and read it now. 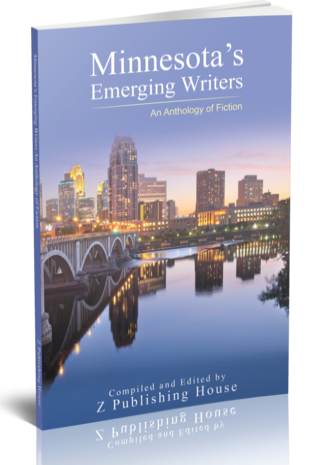 Featured in Minnesota Emerging Writers Anthology comes The Flea Circus, the story of a man who does whatever it takes to achieve success. Like pizza? Like cats? Here's a tale about how both can be absolutely terrible. From Dark Fire Fiction, here's Pizza Face! Better out than in, they say. But maybe somethings are better left churning and scratching and growing deep inside the stomach. Aaron would keep his vomit monsters down, if only they'd behave. Enjoy another trip into Deadoaks, USA. A town where everything looks nice, but nothing is fine. Pirate radio courses through the airwaves, monsters stalked through the shadows, and the King of the Scum reigns supreme. A man of science becomes something beyond science. Propelled through time, his existence is spread too thin over decades. Now he stalks the man and woman who live were he once shared a home with his wife. "I am here. I am eternal and alone and terrible, and I will never leave." ​The Thin Man haunts you from Chantwood Magazine. Bloggers beware when interviewing the old man who runs the Moccasin Bar. You can come for the strange taxidermy dioramas but you might get more than you bargained for! The wife of a soldier feels her relationship with her deployed husband slipping away. Her only hope in finding love again is to dig down into the dirt.